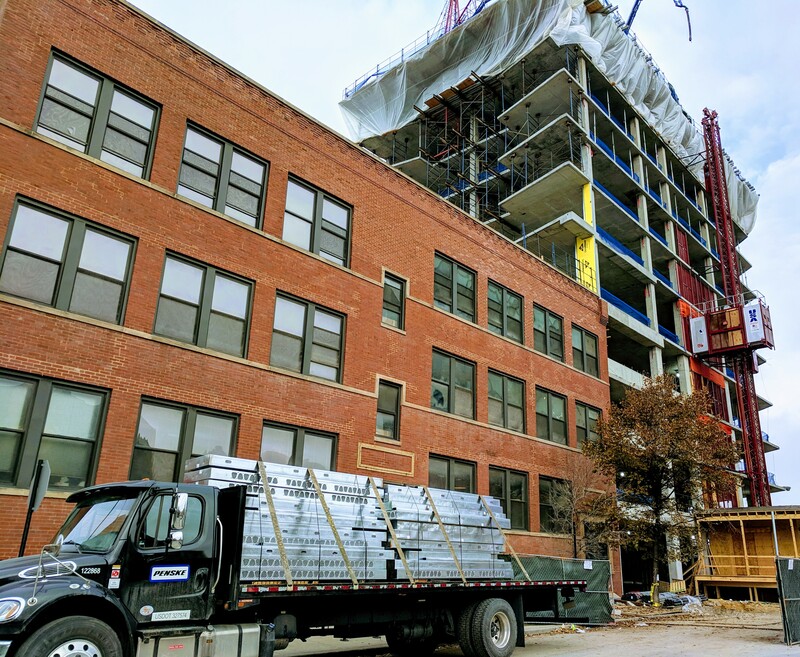 Wally Walls started delivering infill walls on this high rise project for Tandem Development in Chicago. Tandem chose Wally to expedite the building enclosure through the winter, understanding that once the light gauge insulated walls are installed, the workers are working inside the building, greatly reducing winter general conditions and shortening the construction timeline (not to mention the tremendous insulation value over the long-haul). Who knew that time was money and that lower energy costs increases NOI? Tandem Development did, that’s who!